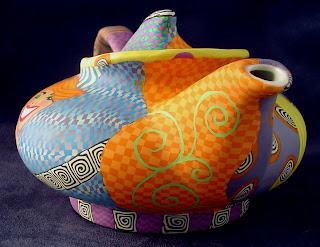 Wanda Shum Design: Brand New Teapots! They are amazing. How much do they cost? 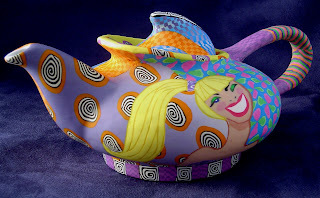 My teapots range from $275-500 depending on the designs and size. 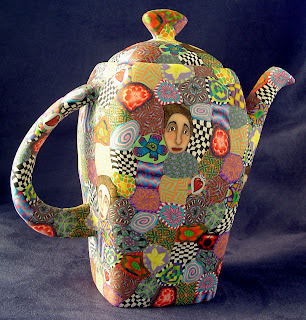 Hi Wanda, I was wondering if your tea pots are for use, or for show. It looks like you're putting a veneer on ceramic - will they hold up to using them as functional tea pots? 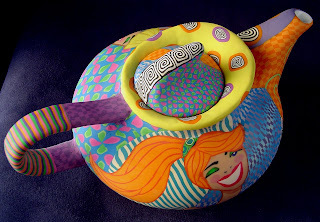 I just love your teapots! They are so colorful and detailed! 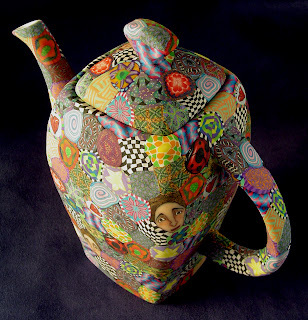 I was wondering if you start out with a regular teapot as a base, or do you create the pot yourself? I, too, am a polymer clay artist, but nothing as wonderful as these! I love your work! I'm going to post about it in my little blog!